Warzone Mercenaries (@fanpage) released in September 2017 is a soldier shooting game. You can play it in any browsers. 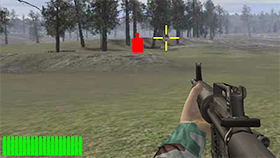 This game is designed with 3D graphic with the war background. 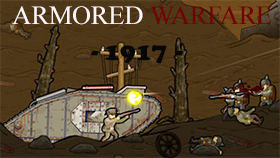 In that game, you will be a soldier and join in the battle. 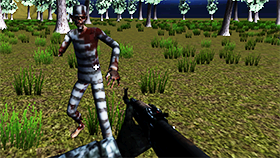 You have to fight against enemies who are loitering around your base to destroy and kill you. As a smart soldier, you can find them and kill them. Each soldier has different skills and weapons. You will choose the character you want and start to accomplish the variety of tasks. Remember that you have to move carefully and keep your eyes on enemy units and vehicles because you can take their vehicles as your rewards. Each mission completed brings you coins to upgrade various soldiers and weapons. It is simple to play even when you have never played that kind of game. When you move the mouse, your character will move. When you click the left mouse, your character will shoot. 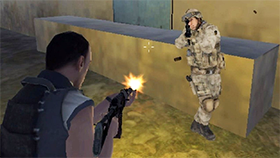 If you want to experience on shooting as a brave soldier, you cannot ignore Warzone Mercenaries. Don’t worry about paying fee to play because you can join it free in Freegames66.com. Moreover, you can play online in any places even in offices or schools.